The people of Raqqa province reiterated their calls for the US and French occupation forces to leave Syria and stop interfering in its internal affairs. 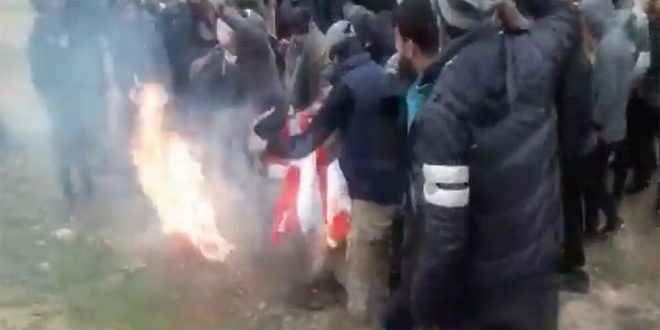 Video clips circulated by social media on Friday showed tens of people from Raqqa who gathered to affirm their determination to confront US occupation and all foreign forces that are present in Syria illegally, burning the the American and French flags. The Washington-led coalition has been committing heinous crimes against the people of Raqqa under the pretext of fighting ISIS, reducing much of the city to rubble using all sorts of weapons including phosphorus bombs, claiming the lives of hundreds of civilians.